ARMADILLO ART AND CRAFT-Soft Art Sponge. 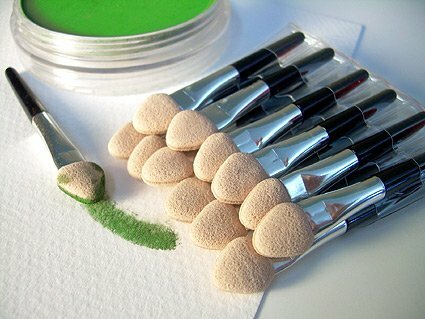 These sponges are designed to be used with PanPastel artist's pastels but can also be used with water-based colors polymer clays and ceramics. They are artist's quality with Microspore technology and can be cleaned and reused on all your projects. This package contains four 2 inch diameter 1/4 inch thick sponges. Imported. Sofft Knives & Covers - Assorted Set of Four These innovative Covers are sized specifically for use with Sofft Knives and Shapers. They transform Knives and Shapers into absorbent tools, capable of carrying and releasing color and material in a unique way. Sofft Covers are made from our specially formulated micropore sponge which is semi-absorbent. Sofft Knives When used with Sofft Covers, the traditional painting knife is transformed into a multi-use and absorbent applicator for art and craft techniques. These inexpensive tools function like a cross between a brush and a knife. Each knife has been ergonomically designed to fit in the hand for ease of use and for good control. Sofft Knives are made from a flexible, and durable plastic material. The handles are shaped like wooden handle knives for maximum comfort. Sofft Knives can also be used without Sofft Covers as traditional painting knives. 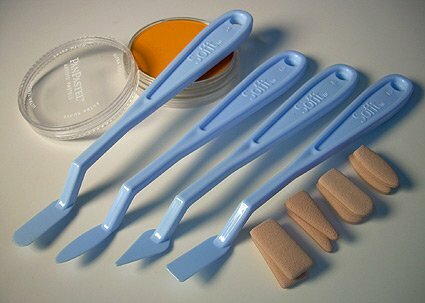 This Sofft mini kit contains one oval tip knife and five oval tip covers. 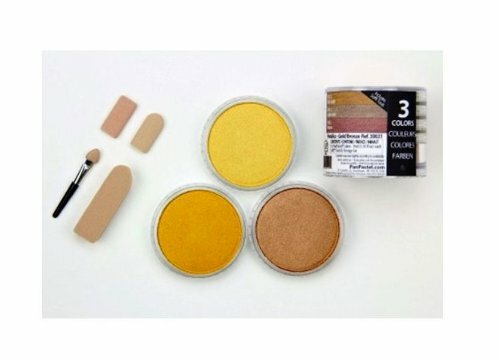 Pan pastels are NOT included! 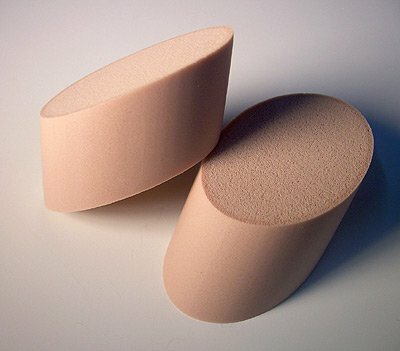 Sofft Sponges - Pack of Two Round Angled Slice Sponges - Sofft Art Sponges are made with semi-absorbent micropore sponge material. 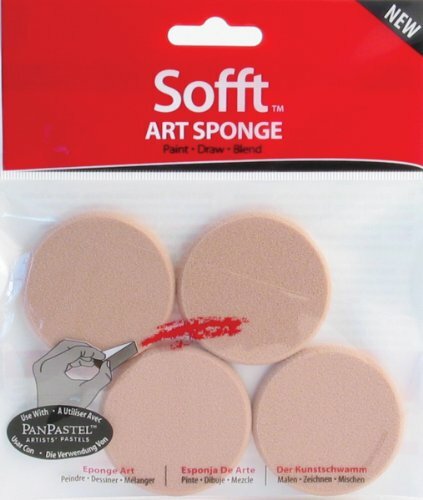 Each sponge has a unique shape and size, designed specifically for artists and crafters. 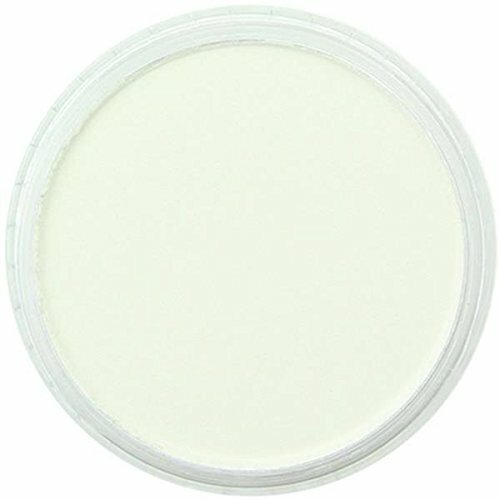 Perfect for applying color, blending, building up layers, underpainting, wiping color out... the uses go on and on! Some of the most simple tools are also the most versatile. Perfect for use with Pan Pastels, pastel sticks, charcoal, graphite pencil, watercolor, and ink. Sponges can be gently rinsed out in warm water and used over and over. This pack contains two round angled sponge slices. Each one is approximately 2-3/4 inches long from tip to tip by 1 inch thick. They have great edges for making both thin lines and broad strokes. 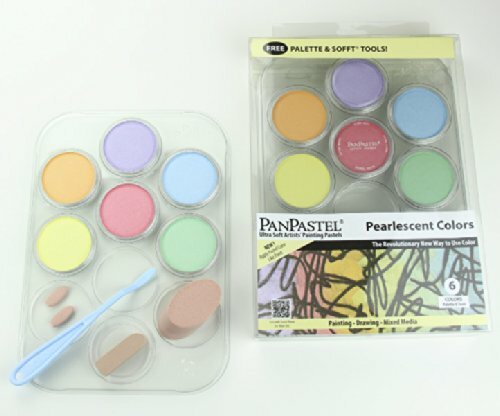 Pan Pastel Pearlescent Painting Set. Contains seven different colors. Sold as a pack of one. Each contains 9 ml. Pan Pastel-Colorless Blender. The Colorless Blender can be mixed with Pan Pastel Colors to create a variety of transparent effects. Also great for softening and blending edges. 9ml. PP32012 Features: -Empty palette trays securely hold pans are stackable and come with a cover. -Extra storage jars to hold Sofft Tools sponges and knife covers. 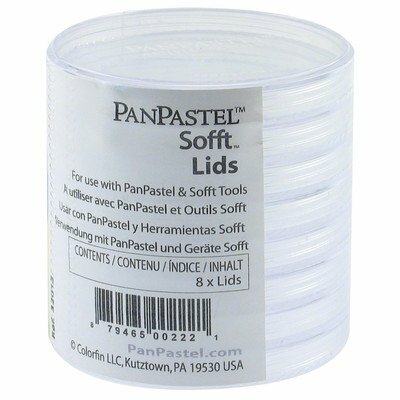 -Includes 8 lids for Pan Pastel colors. -Category: Painting. -Age Group: Adult. Product Type: -Painting & Drawing Supplies. Dimensions: Overall Height - Top to Bottom: -2.44". Overall Width - Side to Side: -2.63". Overall Depth - Front to Back: -2.63". Overall Product Weight: -0.17 lbs.